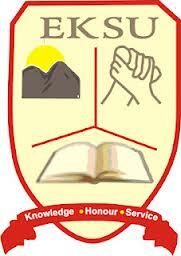 Lecturers at the Ekiti State University, Ado-Ekiti, on Monday made good their vow not to return to classes unless the national ASUU secretariat asked them to return to work. Investigations by a correspondent of the News Agency of Nigeria showed that some students were on the campus, while majority stayed away. One of the students, Olayemi Ilesanmi, said that he and his two friends came to school with the hope that ASUU members would obey the government’s directive. When asked why many students stayed away, Mr. Ilesanmi said that one of his friends, simply called Tunde, said that the students were apprehensive of what might befall them if they resumed under such unclear circumstances. Ayan Adeleke, the chairman of the institution’s chapter of ASUU, said on phone that members in the state university had yet to resume work. He said that they were awaiting the outcome of the union’s national council meeting to know the next line of action. He warned against any attempt to break the ranks of the union.